There are not many authors who are willing to write "You may not like this book" right at the beginning. That's one of the things that makes Patrick Rothfuss so special though - he cares that much about his fans, his readers that he is even willing to sacrifice sales to avoid annoying them. He has a point too, not everyone is going to like this book. It's very different, doesn't have any real action and is bereft of a climactic ending. 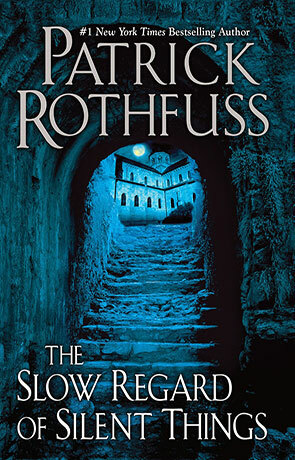 Like pretty much anything Rothfuss creates though it is entirely magical, absorbing and rich. The book follows Auri and if you don't know who this is then this book isn't for you (yet), go read The name of the wind and the wise mans fear then come back. For those who do know Auri you will know how different she is. She sees things that most don't, hidden dangers and mysterious secrets. We take a glimpse into the life of Auri, how she survives and lives a life unlike any other. The writing is up to the authors usual exceptional standard which is one of the reasons why this book works. On the face of it you wouldn't think it would and clearly Rothfuss has his doubts. As mentioned there isn't any real action, it's simply a slice of someones life. This someone happens to be very different though and it's almost like peeking into the mind of someone with autism. It is an insight into someone who has been changed by a harsh, cruel world. It works surprisingly well and I didn't even realise that many of the things that make up the average novel was absent here until I read the authors afterword pointing this out. It is a brief read, even briefer than you would think given the authors way with words. It is however an incredibly rewarding read, for an avid reader it's like taking a reading holiday - the differences are a breath of fresh air. Leave your preconceptions behind and enjoy the magic that is The slow regard of silent things. Written on 14th November 2014 by Ant.